Transfer from airport to downtown hotel . Rila monastery is the largest Eastern Orthodox monastery in Bulgaria. It is situated in the southwestern part of Bulgarian in Rila Mountain, 117 km (73 mi) south of the capital Sofia. The whole complex of church, residential part and museum occupies an area of 8,800 m². The monastery complex was declared a national historical monument in 1976 and became a UNESCO World Heritage Site in 1983. One of the optional tours is to Veliko Turnovo and Arbanasi. Departure to Veliko Tarnovo. Lunch surcharge on the way to the shore of a lake in the area of golf resort Pravets, nestled in the folds of Balkan mountain, the mountain which gave the name of the Balkan Peninsula. Balkan or Stara Planina more than 190 km long and passes through the central part of the country. Beautiful green hills and tranquil landscape. Arrival in Veliko Tarnovo - the former Bulgarian capital. This is a beautiful city built on hills at the foot of which the Yantra River is winding. 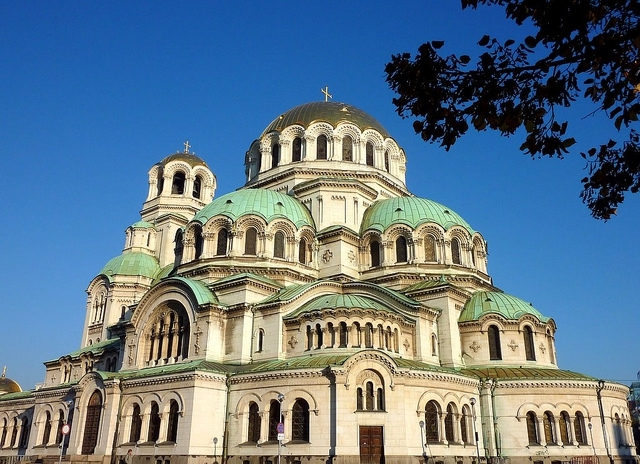 This is the city chosen by the Second Bulgarian kingdom for its capital (12th - 14th century). Visit of the city and the main museums. The second optional tour that you can select for this day is to Plovdiv. In this tour you will visit the old town, the amphitheatre and 4 ols houses from 18-19 centuries. Day 5 - Breakfast. Visit of Koprivshtitsa village. Koprivshtitsa - a small town situated in Sushtinska Sredna Gora mountain in the valley of Topolnitza River and it’s a remarkable, unparalleled historic reserve. Koprivshtitsa is unique with its cobblestone alleys, houses painted in bright colors with expansive verandahs and picturesque eaves. The town reserved old houses typical for the region and Bulgaria. Day 6 - Breakfast. Free time for last tour (according to time of flight). Departure to Sofia airport.